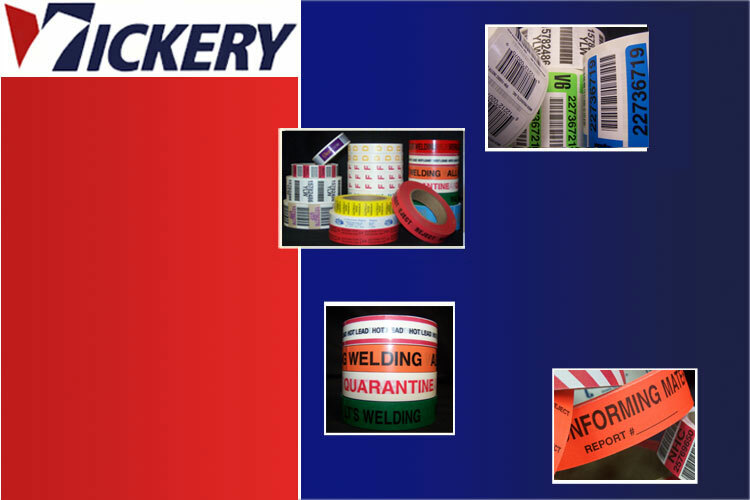 Since 1943, Vickery Tape & Label Company has been supplying top quality printed tapes, custom labels and rubber stamps to companies throughout North America. Being a complete in-house printer means from the design stage to the finished product, we are able to give you top quality products , competitive prices and quick turnaround. We stock PVC tape, polypropylene tape and paper tape in several different sizes and colors. In our label department, we have 15-20 different stocks to choose from and hundreds of die shapes and sizes available. We have all types of rubber stamps available, hand stamps, self inking stamps, daters, numbering stamps and die plate daters to name a few. When you call Vickery Tape & Label you are greeted by one of our helpful and friendly associates not an endless chain of computer generated messages. We give you the personal and professional service you deserve.